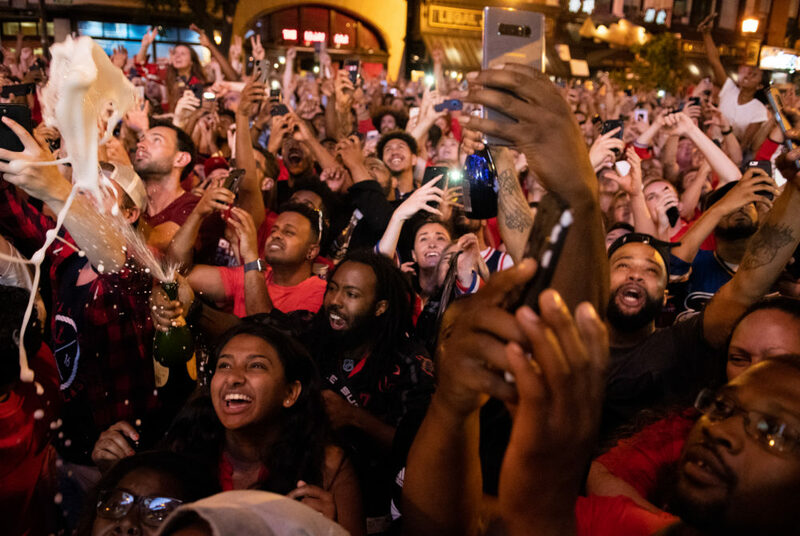 Champagne flew into the air and cheers erupted when the buzzer sounded on game five and the Washington Capitals won their first Stanley Cup in team history Thursday. The Washington Capitals won the Stanley Cup Thursday night for the first time in franchise history. The team won the fifth game of the series over the Las Vegas Golden Knights 4–3 to secure the Stanley Cup. Fans covered several streets and the steps of the Smithsonian National Gallery of Art to watch the game, which was projected on large screens outside of Capital One Arena. 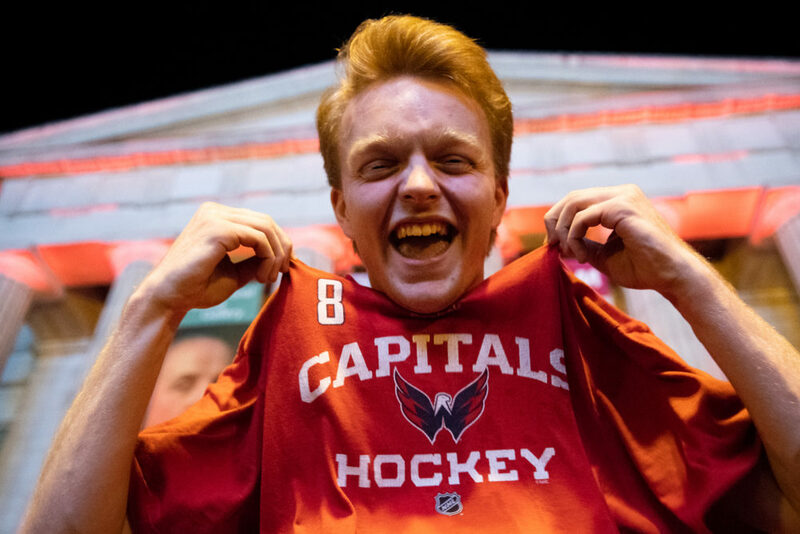 A fan celebrates on the steps of the Smithsonian National Gallery of Art after the Capitals won the Stanley Cup Thursday night.